Bring the inside out and enjoy a tropical paradise with your family and friends without leaving your home. Seminole Tiki Huts specializes in building one-of-a-kind structures, Seminole chickee huts style, that incorporate traditional manual building techniques and the finest natural material found in the Everglades on the Seminole's preserve. We use sturdy cypress wood for framing and fronds from sable palms for the roof. 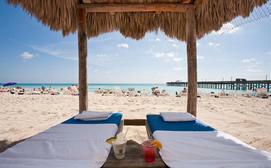 With these authentic materials you can have the best tiki huts south florida can offer. Enjoy the gallery of some of our tiki huts Florida homes and business have enjoyed. 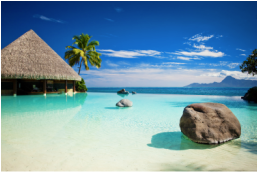 Call us so we can show you how you can make your own paradise.